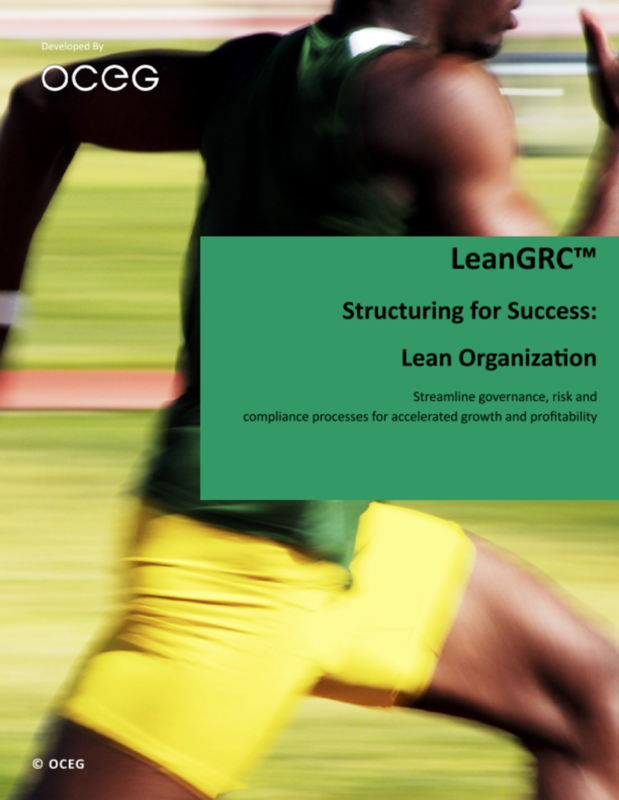 Apply time-tested principles of "lean" to GRC using this helpful series of 6 eBooks. The four basic principles of lean thinking are relevant to GRC: (1) add nothing but value and eliminate waste; (2) center on people who add value; (3) flow value from demand; and (4) optimize across organizations. The movement towards a unified view of risk and compliance has forced many companies to face challenges in their organizational structure that were creating or hiding significant inefficiencies. Their organizational structures often led to redundant effort, lack of effective communication and collaboration, limited enterprise-wide risk visibility, and high costs. 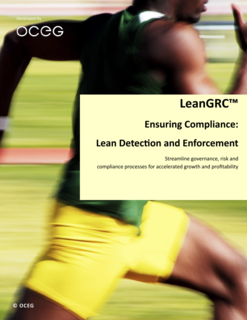 But, the principles embodied in LeanGRC® can help solve these challenges, and create significant cost savings across the enterprise. Please provide your email address so we can send you "LeanGRC® Organization and Team". A link to "LeanGRC® Organization and Team" was sent to Make sure the email arrives in your inbox: either add "support@oceg.org" as a safe sender to your email platform, or if you use Gmail, drag our email into your Primary tab.